The Angry Birds series continues. 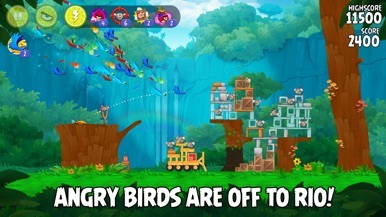 In this episode you have to rescue the Angry Birds' newfound friends: two rare macaws from the Fox motion picture, RIO. The essence of the Birds is maintained. Just how long will they be angry? 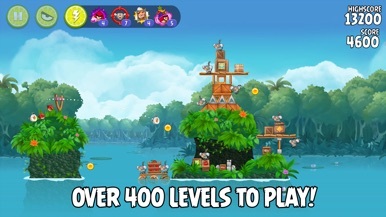 Rovio, the developer of Angry Birds, announced from the very beginning that new episodes would be released periodically. And once more, they’ve fulfilled their promises with Angry Birds RIO. Angry Birds Rio introduces the colorful kamikaze birds and their two new friends: Blu and Jewel, two rare macaws waiting to be freed from their cages. This means 90 new levels of delightful physics-based gameplay and some new achievements. Without a doubt, the best part this new sequel are the boss battles. They've been improved and are even more spectacular. 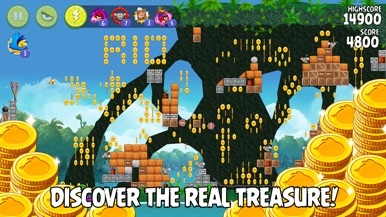 In Angry Birds Rio, the original Angry Birds are kidnapped and taken to the magical city of Rio de Janeiro, where they eventually escape their captors and set out to save their friends, Blu and Jewel – two rare macaws and the stars of the upcoming Fox motion picture, Rio. 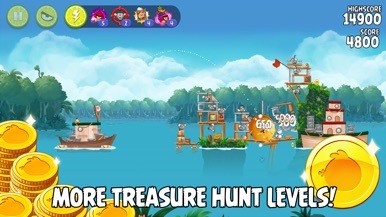 Angry Birds Rio will pair the physics-based gameplay of the original game with unique twists based on the film. The plot has some twists connected to the film, so it seems that our beloved feathered friends' fame is growing even more. In fact, I don't know who benefits most, but I believe that neither the film nor the birds have anything to lose here. 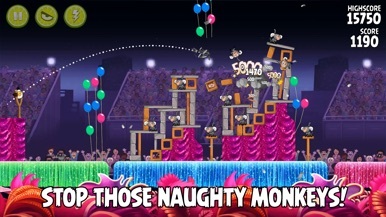 So, to make a long story short, how can you be an Angry Birds fan and not download the latest installment?